Monday, April 22nd thru Thursday, April 25th, we will be open from 11 am to 9 pm also with 1 pm to 6 pm skate sessions each day. Friday, April 26th, we are open 3 pm to 10 pm and return to our regular April hours. Please note that we anticipate larger crowds April 22nd thru the 25th for the Passover holiday, please plan your visit accordingly. Our indoor and outdoor attractions are open for the season. 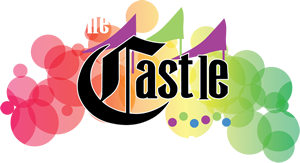 There is no admission fee to The Castle and we do not have a wristband option, you simply pay for the activities that you would like to do. Prices for each activity range from $3.50 to $8 each. Click here to view our activity pricing. We do not offer group rates during the holiday. 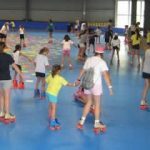 There are activities that are appealing to ages 2 and older, many activities for older kids and adults as well. You must be 5 years or older and 42 inches or taller to drive a go-kart on your own; for a double seated go-kart the driver must be 18 years or older and the passenger must be 40 inches or taller. We also do not allow any outside food in the facility nor do we offer a Kosher option on site so please plan your day accordingly. Our address is 109 Brookside Ave, Chester, NY 10918. We are 50 miles from NYC, 10 minutes from Monroe, 30 miles from Spring Valley. Please understand that during the holiday our phones are very busy with questions so we encourage you to listen to utilize our website for further information.